Peter and Bon, from the 1970s ABC documentary Chequerboard, the first male couple to kiss on TV. 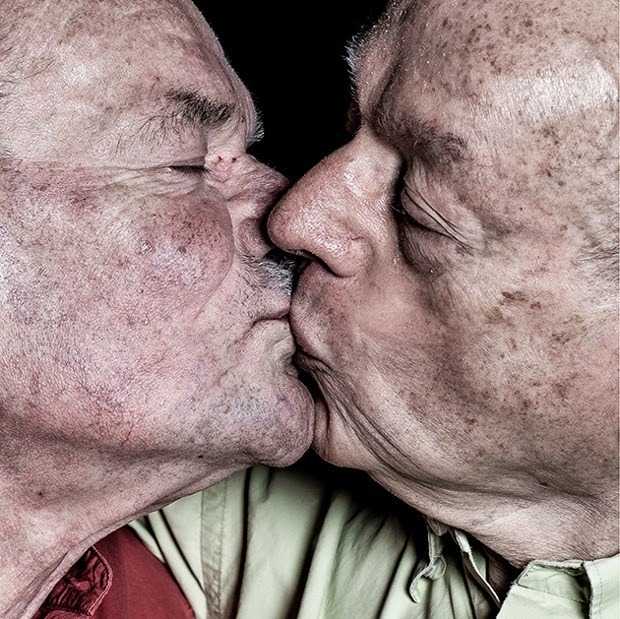 An activist, a minister, an actor, a nurse, a lecturer, an artist ... Richard Hedger has captured 16 portraits of LGBTI ‘elders’ – significant members of Australia’s gay community who are over the age of 65. Part of Sydney’s Mardi Gras celebrations, these intimate images show a generation that has witnessed – and contributed to – sweeping social and cultural change in their lifetimes, each with their own story. National Treasures is at Muse Studio, Sydney until 8 March 2015. May 23rd: What A Gay Day! Watch Me Date: I Can't Watch! Kenneth Williams: Happy Birthday Kenny! Rent Boy Tory: Any Guesses? London Gay Scene: Closing Time? World Press Photo Of The Year Award: Russia BOO! Stephen Fry Watch: The Queen & !